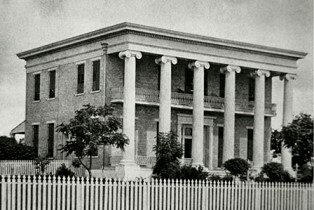 Governor's Mansion east facade, c. 1875. 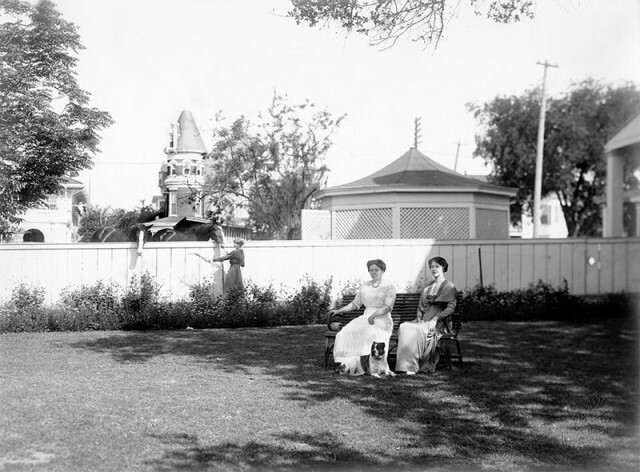 Image Courtesy Austin History, Austin Public Library, PICA 06528. 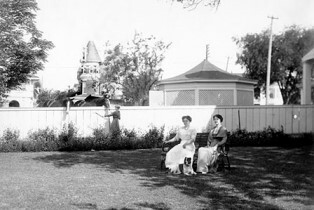 First Lady Alice Colquitt (1911-1915) seated on the left at the Mansion's south lawn, c. 1912. 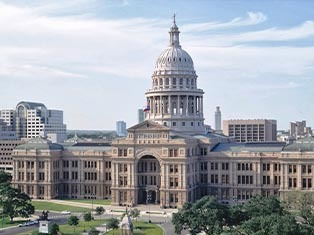 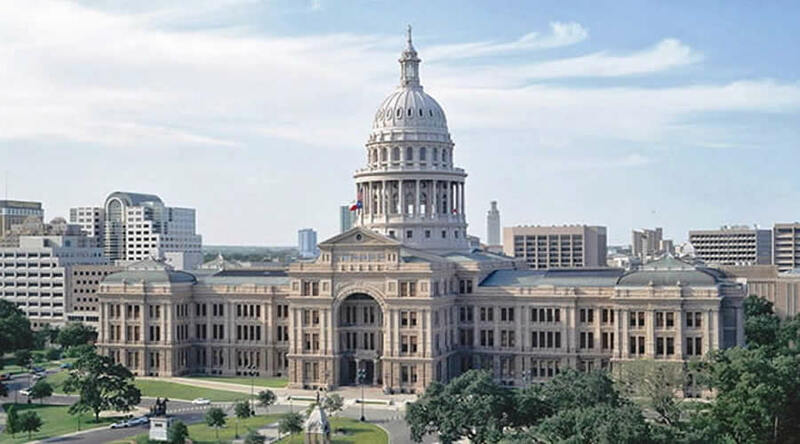 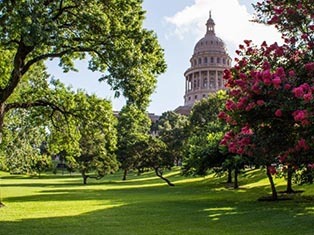 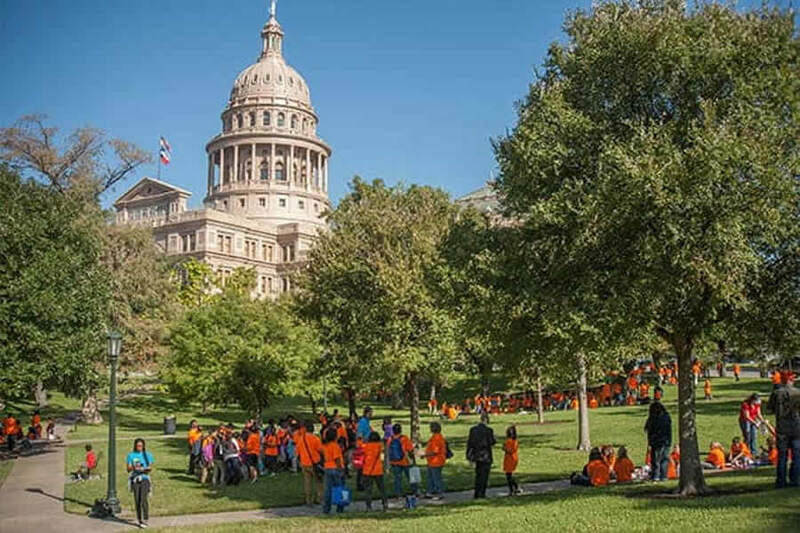 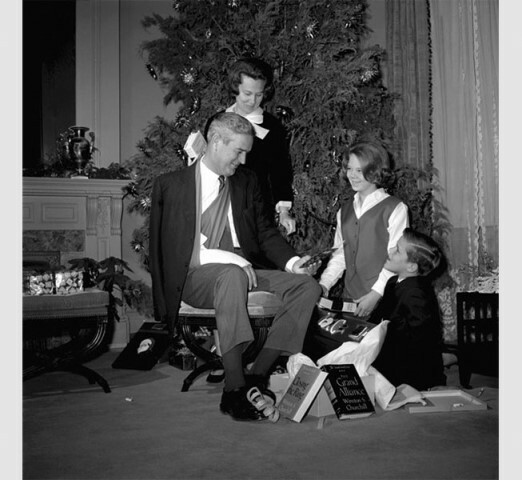 Image Courtesy Dolph Briscoe Center for American History, The University of Texas at Austin. 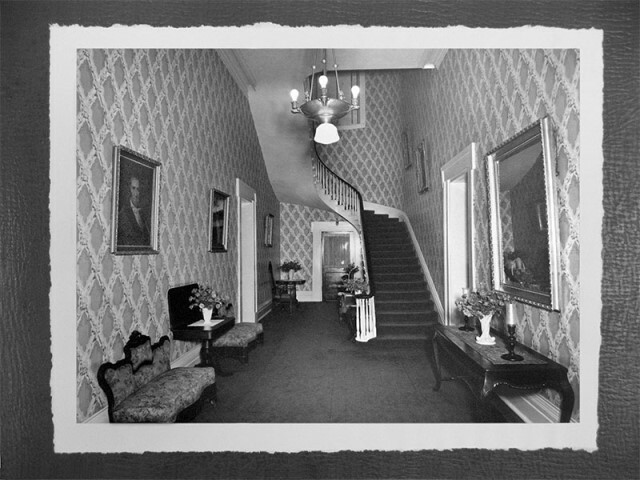 Colquitt (Oscar) Papers, di_05439. 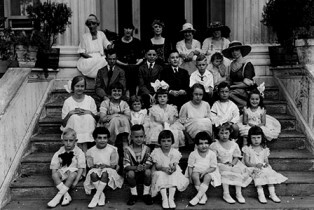 First Lady Willie Hobby (1917-1921) seated on the top row center with children on the Mansion's front porch, c. 1915. 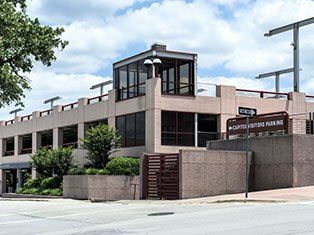 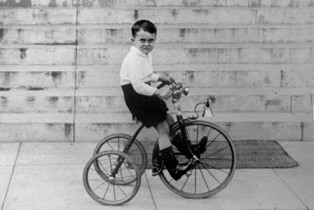 Image Courtesy Austin History Center, Austin Public Library, PICA 08556. 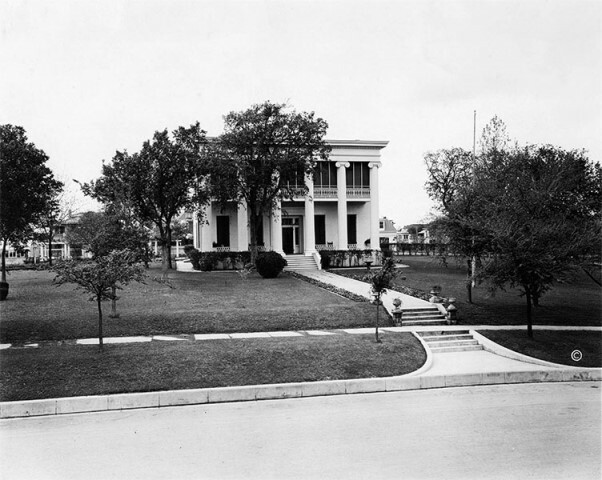 Governor's Mansion east facade, c. 1919. 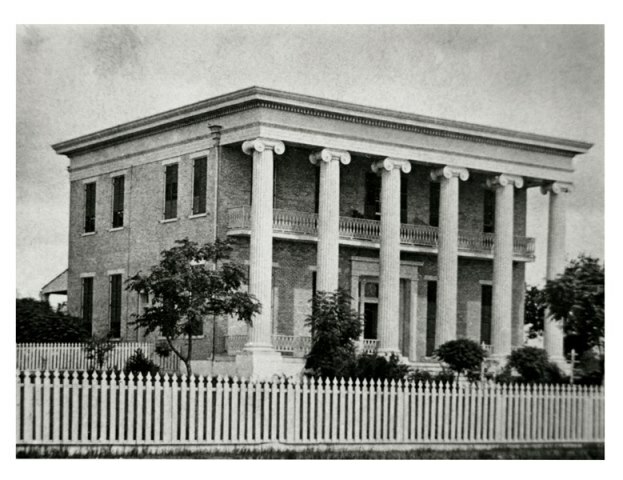 Image Courtesy Austin History Center, Austin Public Library, PICA 36886. 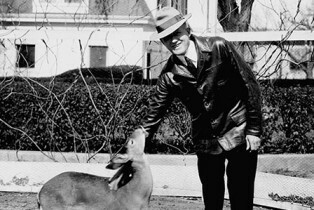 Governor Dan Moody (1927-1931) with one of the pet deer that once lived on the Mansion grounds. 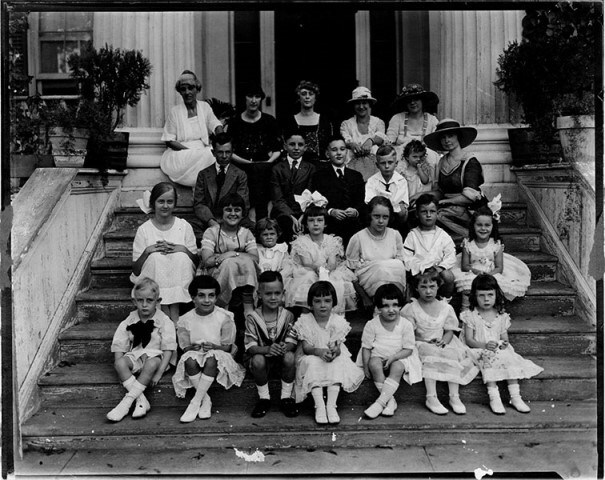 Image Courtesy Austin History Center, Austin Public Library C02871. 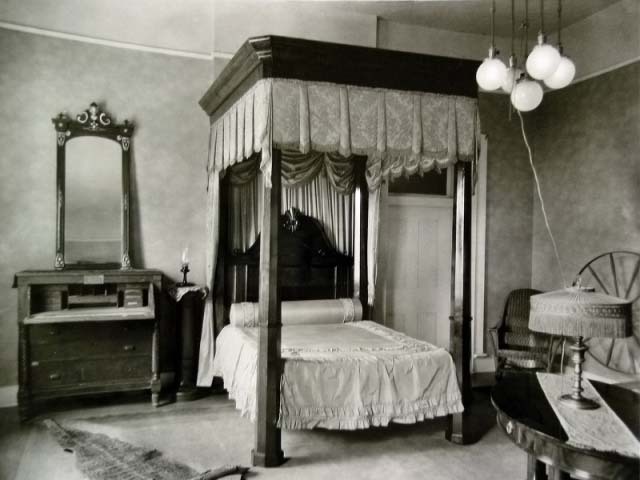 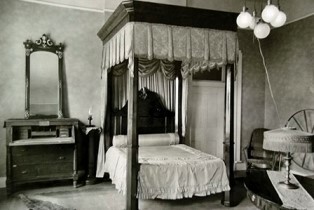 Private bedroom with the Sam Houston bed, c. 1926. 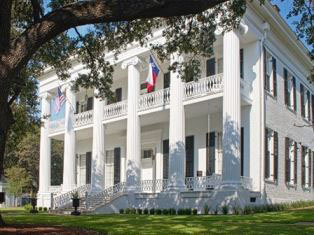 Image Courtesy Texas State Library and Archives Commission, 1987/173, Governor's Mansion Collection. 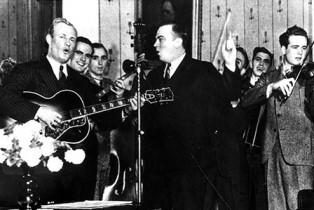 Governor W. Lee "Pappy" O'Daniel (1939-1941) broadcasting his weekly radio show from the Mansion. 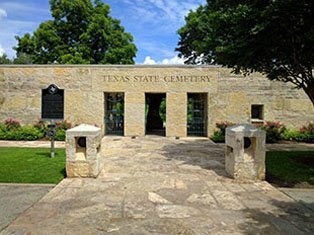 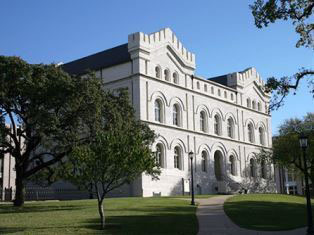 Image Courtesy Texas State Library and Archives Commission, 1/104-207. 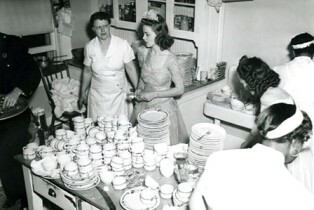 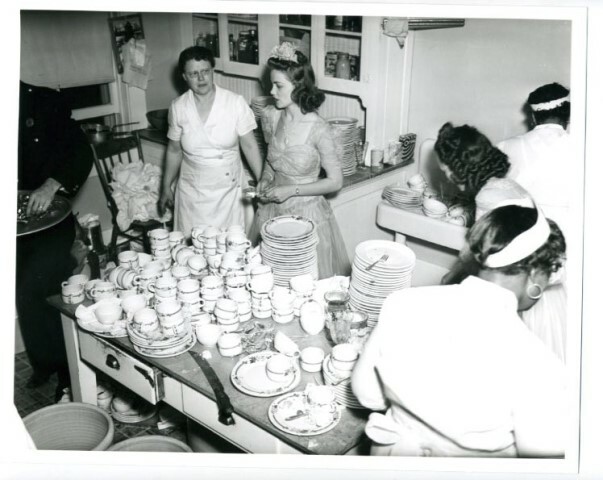 The Mansion kitchen following a reception in January 1941. 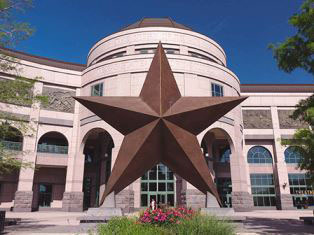 Image Courtesy Texas State Library and Archives Commission, 1976/008-0021. 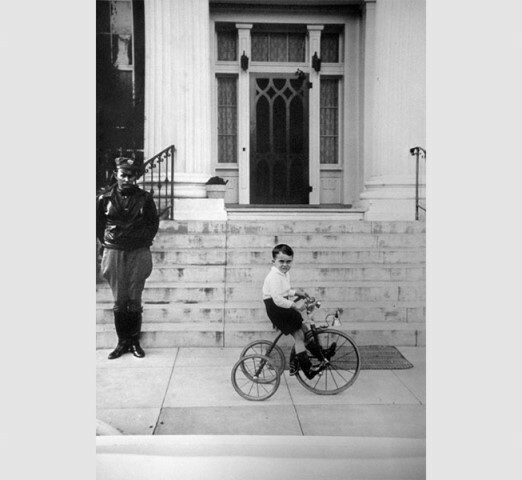 Jimmie Allred Jr. and an unknown security guard (left) outside the Mansion front porch, c. 1935. 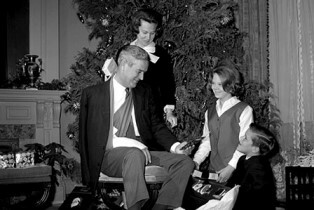 Governor John Connally (1963-1967) celebrates Christmas while recovering from the wound he received during the assassination of President Kennedy, December 1963. 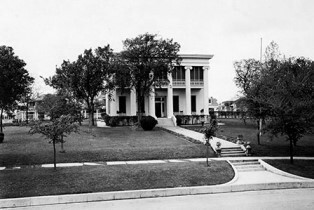 Image Courtesy Austin History Center, Austin Public Library, AS-63-43602-03. 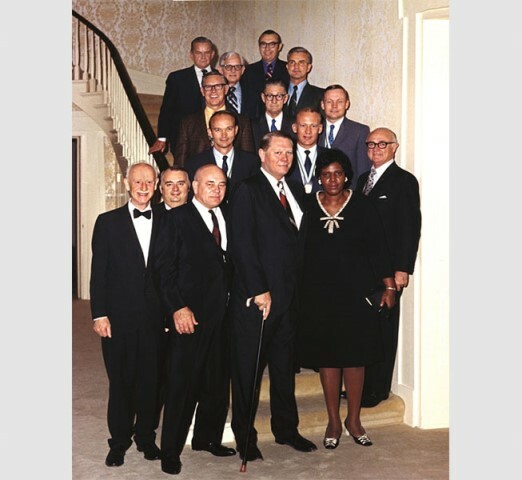 Governor Preston Smith (1969-1973), standing at far right with Texas State Senator Barbara Jordan and the Apollo 11 crew, 1971. 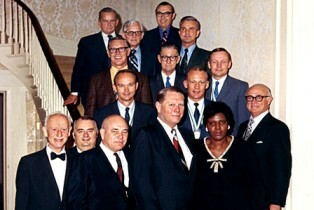 Image Courtesy Texas State Library and Archives Commission, 1971/022-063. 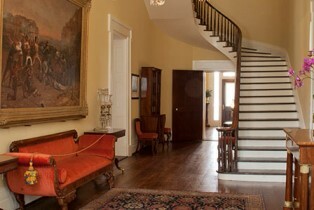 The Entry Hall features Robert Onderdonk's monumental painting, Fall of the Alamo. 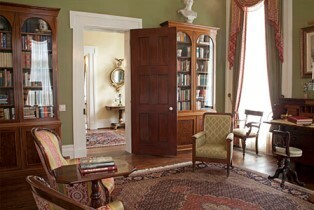 The Library displays several notable items including Stephen F. Austin's desk. 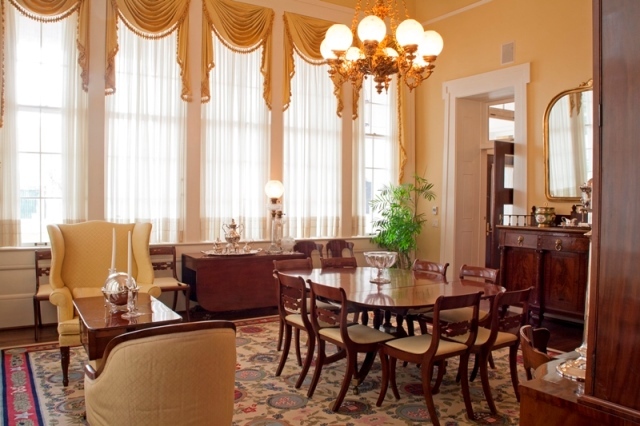 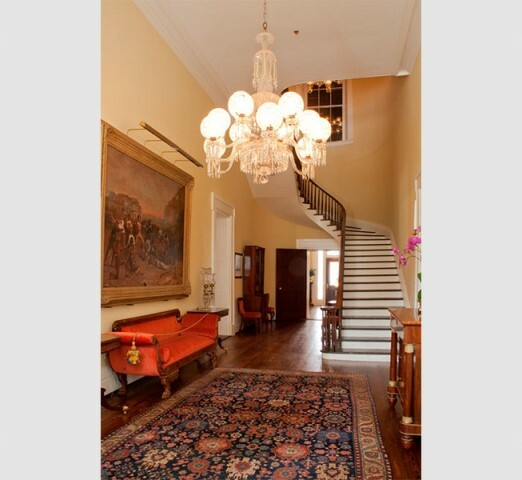 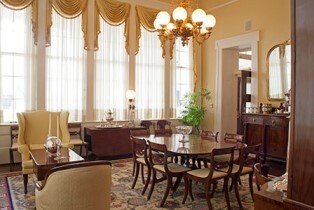 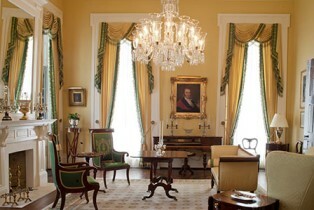 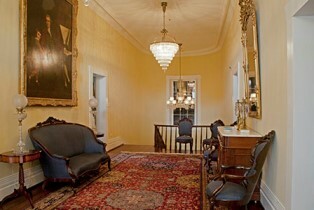 The Front Parlor provides an elegant setting for first families to greet and entertain guests. 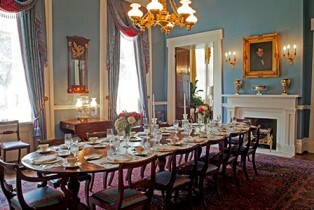 An eighteenth century mahogany table stands in the center of the State Dining Room. 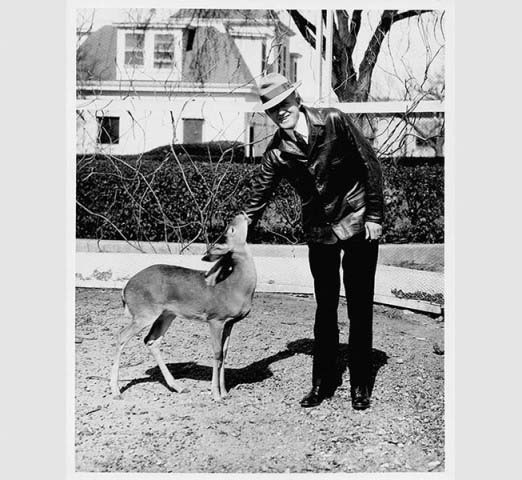 In 1914, the Mansion received its first addition with the construction of the Conservatory. 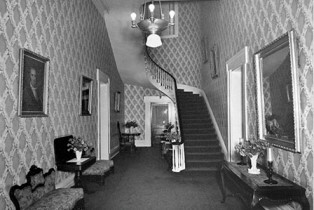 The second floor hallway window originally looked outside before the expansion in 1914. 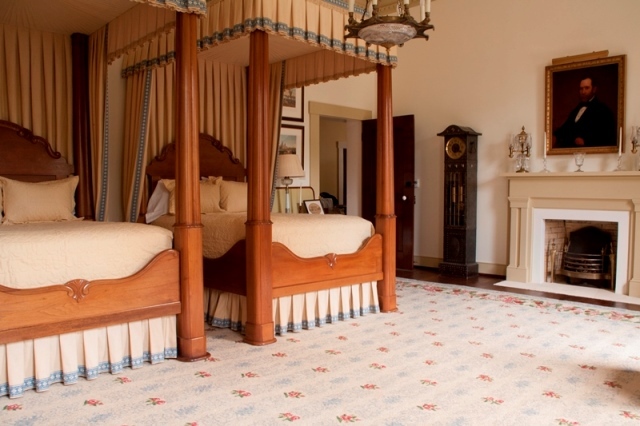 The Sam Houston Bedroom, one of two historic guest bedrooms, includes the bed purchased for the Mansion by Governor Sam Houston (1859-1861). 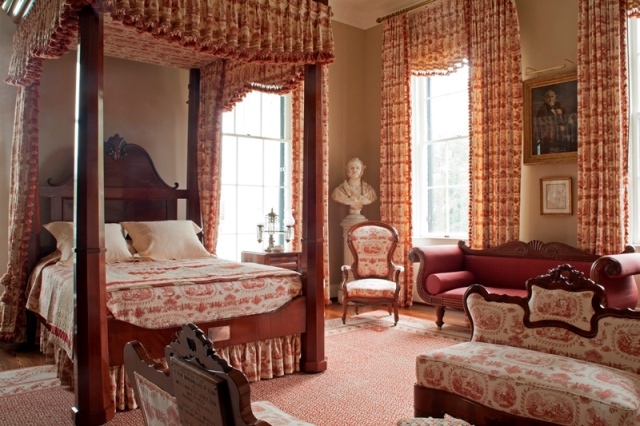 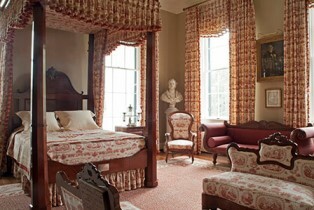 The Pease Bedroom, a historic guest bedroom, features furnishings that belonged to Governor Elisha Pease (1853-1857), the first resident of the Mansion.